Here’s the thing about the Orioles, they were not supposed to win this many games. If you asked 100 baseball experts entering the 2012 season to rank the 14 AL clubs by how many wins they would achieve during the season, I can’t imagine more than five would have them any better than 10th. 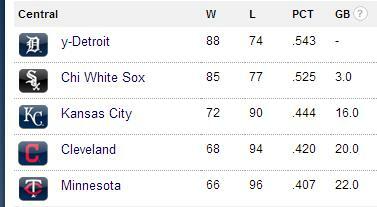 But, the funny thing about baseball is that the Orioles won the fourth most games in the AL in 2012. Fourth! Lots of mean, rational people tried to rain on their parade the whole time. I am among the guilty in this regard. You see, the Orioles were winning in magical ways. They had a ridiculously good record in one run games and extra inning games and they didn’t score more runs than they allowed until like August. They were, by every measure, over performing. Don’t get me wrong, I love over performing. It’s exciting and it’s fun. But over performing rarely lasts and often the other shoe drops. The Pirates may have something to add to this discussion if you are interested. But the beautiful thing about the 2012 Orioles is that they never stopped over performing. They made the playoffs even though they weren’t playing the best. The lucked themselves in. I don’t say that derisively, I say that as a matter of fact. Normally, baseball teams who play like the Orioles did in 2012 don’t sustain that performance. They did. It was fun. The offense was led by Adam Jones (4.6 WAR) and Matt Wieters (4.1) and supported by J.J. Hardy (2.8) and Chris Davis (2.1). They had help from a lot of platoons and part time players, but the only players who sustained starter level production are the four listed above. The starting pitching wasn’t impressive, but it was okay. Jason Hammel (2.9 in 20 starts) set the pace and Wei-Yin Chen (2.2) held his own. No other pitcher made more than 20 starts and no starter made it above 1.6 WAR. That’s not usually how you draw it up. But, then there was the bullpen. Jim Johnson, Darren O’Day, and Pedro Strop anchored an excellent bullpen, and a bullpen that was well-used by their manager. These gentleman are the reason the Orioles held so many close leads. So it was a lucky year for the Orioles, but that doesn’t make it less than great. They were a contender wire to wire and made the playoffs for the first time since 1997. They won the inaugural AL Wild Card game and pushed the Yankees to the brink in the ALCS. All in all, it was a brilliantly successful season for a club that had no business being brilliantly successful. The 2013 version of the team is due for regression mostly because lighting rarely strikes twice, which is what makes lighting so exciting and powerful. Also, they didn’t take steps to upgrade the roster in any meaningful way. With some excellent prospects coming and a respectable core, the Orioles are nobody’s punching bag anymore. But they also aren’t the big man on campus, either. When a team wins 90 games with a Save-A-Lot level budget, it’s hard to be disappointed. But the Rays have turned winning with limited resources into an art form. They can’t get away with pretty good anymore, so third place is third place. Jack of all trades Ben Zobrist led the way (5.9 WAR) and his teammates Desmond Jennings (3.5), B.J. Upton (3.3), Jeff Keppinger (2.8), and Evan Longoria (2.4 in 74 games) had his back. No other position players made it to 2.0 WAR, but darn it all, Matt Joyce (1.8) came close. But the pitching, oh my, the pitching. Cy Young winner David Price (5.1) was obviously the staff ace, but he was flanked on all sides but one of the best support staffs around. James Shields (4.3), Matt Moore (2.3), and Alex Cobb (2.2) performed well and Jeremy Hellickson (1.0), who WAR hates, performed pretty well at a 3.10 ERA even if he shouldn’t have. Also, the Rays had two relievers top 2.0 WAR. RELIEVERS! 2 WAR! Fernando Rodney (2.4) and Jack McGee (2.0) dominated, and Wade Davis and Joel Peralta both hit 1.0 on their own. Man, that bullpen was good. So the Rays, if one of baseball’s toughest divisions, were really good and won 90 games. They could have used a little more production from first base and the half a year at third base that Longoria missed, but you can’t really ask for much more. Two more wins against the Orioles and they were playing in October. And the Rays show no signs of stopping. They restocked the farm by taking everyone in the Royals farm system and they filled in holes in the lineup. Yunel Escobar and Kelly Johnson both have question marks, but they have high upside for low risk contracts. I’m a big believer in the Rays formula and a full season of Longoria and more Joe Maddon magic should keep the Rays in contention. Very much in contention if you ask me. The fans might not show up and the stadium might be a dive, but they play baseball better than most. Editor’s Note: This article was written prior to Tuesday’s steroid allegations and the writer believes the situation will likely not improve for him, even if it doesn’t get worse. There was a time, not long ago, that it seemed inevitable that Alex Rodriguez would break Barry Bonds’ all-time homerun record of 762. Today, that certainty is slowly fading. Ken Rosenthal and the rest of the crew on MLB Network’s Hot Stove yesterday considered the possibility that A-Rod might never make it back to a big league lineup, but at the very least is unlikely to play in 2013. With the loss of an entire season quite possible, A-Rod’s shot at hitting another 116 homeruns is dwindling. He’ll be 38 in July, which means he’ll be 38/39 in 2014. If we assume 2013 is a lost cause, that gives him four seasons to get to the end of his contract and hit 116 homeruns. Given that he’ll be 42 when the deal is up and that his body is already breaking down, I don’t think it’s likely that he’ll play beyond 2017. If these assumptions hold, does A-Rod have a shot at the record? He would need to average 29 HR a season to get to 763. He hasn’t hit that many since 2010. Granted, he hit 30 or more in every season before 2010, but still. He hasn’t even hit 20 in either of last two seasons. His batting average and walk rate are down from his peak. He’s no longer a great defender and his baserunning is not much to look at. He’s an aging slugger who is breaking down and losing his athleticism. That doesn’t make for a good formula going into his late 30s and early 40s. So while 116 more homeruns aren’t out of the question, it doesn’t look likely. Only Barry Bonds hit more homeruns as he got really old, but most don’t. This is a lesson in inevitability and prediction. In baseball, there is a lot of uncertainty and a lot can go wrong. A-Rod, for all of his talent, is likely going to come up short of a mark he looked certain to achieve. And Bonds’ record will stand a little longer. Not that A-Rod breaking the record would make us feel better. He admitted to using PEDs during his Rangers days. He’s one of the least popular star athletes of our lifetime and is a constant source of ridicule. So I’m not going to get nostalgic and upset about A-Rod’s demise, but I am going to get inquisitive. If not A-Rod, then who? Who among the active baseball world could get to 763 homeruns and unseat Bonds? The Blue Jays didn’t have a great season in 2012, but man have they had a great offseason in 2012. Only 73 wins during the season isn’t enough to be good, but taking everyone from the Marlins and R.A. Dickey from the Mets is enough for a winning offseason. The 2012 version was led by Edwin Encarnacion (4.4) and backed up by Jose Bautista (3.2 WAR in 92 games) and Brett Lawrie (2.9). No other position player topped the 2.0 starter threshold. But the cavalry is coming. On the pitching side, it was worse. Only Brandon Morrow’s 2.4 WAR in 21 starts was anything worth mentioning. No other starter had a 1.0 WAR. That’s really bad. But like I said, the important part of the Blue Jays’ 2012 was the part after the season was over. Here is an incomplete list of players who are now Blue Jays that were not Blue Jays during 2012: Dickey, Mark Buehrle, Jose Reyes, Josh Johnson, Emilio Bonifacio, and Melky Cabrera. That’s a big improvement on the previous version of the Jays. Even if those guys don’t perform at their peak potential, that’s at least ten wins in the standings, but it’s probably closer to fifteen. With the Sox in rebuilding mode and the Yankees working to reduce payroll, this was a great shot for the Jays to join the Rays and the Orioles as the AL East party crashers. So they’ll be a lot better in 2013, especially if you factor in a healthy Bautista, but I’m not buying them as favorites. Just like the Dodgers, they’re much better, but they aren’t a lock at all. I think the pitching staff will be a lot better, but I think the offense won’t be as great as a lot of analysts think. But that’s just my gut feeling. On paper, they look like a real contender. For me, they’re still the third best team in that division and not that much better than the Sox and O’s. Characterizing the 2012 Red Sox is a difficult task. They won less than 70 games with a big payroll and moderately high expectations. But they had also come off one of the worst September collapses in history and told Terry Francona not to come back in favor of Bobby Valentine. Players got hurt and old and disgruntled. All of that sounds really bad. And it was. But late summer and fall shined brighter. Valentine is gone. Big contracts have been shed and Ben Cherington may have wrestled control of the franchise away from the drunk at the wheel ownership. On the field in 2012 a number of hitters performed well. Dustin Pedroia led the way (4.5 WAR) and was backed up by David Ortiz (3.0 in 90 games), Adrian Gonzalez (2.8), Cody Ross (2.4), Will Middlebrooks (2.1), and Jarrod Saltalamacchia (2.0). Heck, I almost spelled Saltalamacchia correctly without looking it up, so that’s something in itself. So while the offense was respectable, the pitching struggled. Jon Lester was good (3.3), but not nearly the ace he needed to be. When Felix Doubront (2.1) is second on your staff in WAR, that should say a lot. Clay Buchholz (1.9) and Josh Beckett (1.8) disappointed and a lot of starts went to Aaron Cook (0.2), Dice-K Matsuzaka (-0.1), and Daniel Bard (-0.4), so that should also say something about your team. The bullpen didn’t impress, but they had some nice pieces. Nothing to overcome the poor starting pitching, but nothing that caused a great downfall on their own. In general, the team performed poorly. Every other day, clubhouse gossip came out about people not getting along and the manager fighting off mutinies. It was a supremely silly affair and it is unsurprising that the team played poorly in its wake. Gonzalez, Crawford, Beckett, and Youkilis were all sent packing in the hopes of starting over. It looks like they will have that chance. With the additions of Shane Victorino, Mike Napoli, Stephen Drew, and David Ross among others, the Sox should be a leaner fighting machine in 2013. Their pitching should bounce back to some degree and John Farrell should offer a better environment than Bobby V.
This will likely be a year of transition for the Sox. They dumped a lot of heavy contracts on the Dodgers, so they will have flexibility to build a better team going forward. Those fixes aren’t all in place, so the immediate prospects aren’t great, even if the long term prospects are solid. This is a club rich in dollars and fan support and lacking in any serious long term commitments. September 2011 was the fall from grace. Early 2012 was rock bottom. 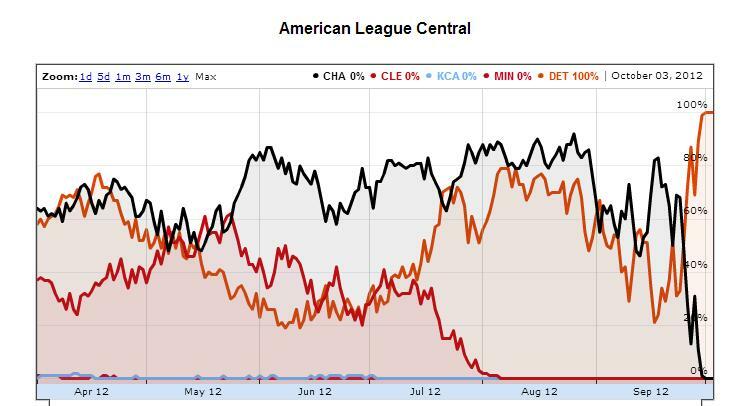 By September 2012, the Sox were back on track, even if it will take a while to get back to the promise land. Last week I rolled out the best catchers for 2013. And let me tell you, that list was a lot easier. The first base crop is great at the top, but then it gets a little bit less clear. Plenty of debate should come from this, but here are my top nine first basemen for the 2013 season. Yeah, yeah, yeah his 2012 was a disaster. But I’m a believer. He’s very young and I’m comfortable writing off one bad season after he broke onto the scene in style in 2011 and during spring training last season. I love his glove and when he squares up a pitch, it can go a long way. If 2013 doesn’t go well for him, I’ll back off, but for now, I’m still a believer. If you multiply the half season he played in the majors in 2012 by 2, he’d have been a top five first basemen. Not everyone is capable of doing that over a full season, but I think Rizzo is. His defense was good for the Cubs and I really like his swing. Solid average and good power. If he can improve the patience a touch, which I think he will, Rizzo could be a star. Craig is a bit of tossup. His glove at first isn’t wonderful, but he’s a phenomenal hitter. He mixes contact and power in an excellent fashion. If he can stay healthy he’s great, if not, he won’t be. Simple as that. I’ll bet on only a couple weeks on the DL and say he’ll be a top nine 1B. Teixeira does certain things well. He hits for power. He walks. He plays excellent defensive. What he does not do well, is make contact. People who don’t make contact don’t crack the top five. Freeman walks, hits for power, and plays solid defense. The average needs a boost and I buy a breakout from the young Braves first basemen. His lineup is better than last year and he’ll be another year older and wiser. Freeman is a guy to watch in 2013. LaRoche is also someone who combines power, walks, and defense. Well he did in 2012. He’s a bit of a wild card, but I’m going for it. He was a mess in 2011 due to a low BABIP, but I’m going to bank on him for one more year in the middle of that great Nationals lineup. Prince is an excellent hitter. He hits for average. He draws walks. He has prodigious power. He hits behind the game’s best slugger and is one of the most durable baseball players in the world. He doesn’t play good defense though, so he can’t crack the top two. 2012 was a down year for The Machine, but 30 HR and 3.9 WAR is better than a down year for almost every person on Earth. Pujols just set a very high bar. The future Hall of Famer is probably on the decline, but coming down from his insane peak still leaves a lot of room for him to be great. Look for a couple more great years before the party is over. There is a case to be made the Votto is the best offensive player in baseball. In 75% of a season in 2012, he posted a 5.9 WAR. He’s a good defender, too, but man the offense. I’m just going to let his slash line do the talking, because really, what could I say that it doesn’t? .337/.474/.567. Read that again and let it sink in. Unbelievable. The AL Central produced the MVP, pennant winner, and Cy Young runner up in 2012, but other than that, it wasn’t the most exciting year for baseball’s most made fun of division. Sure the Tigers boast a lot of stars and Phil Humber threw a perfect game, but that didn’t earn them a lot of respect. It was a banner year for the Tigers, the hometown team of this website. There was a great deal of fan angst about the club’s performance for much of the summer which fans felt was lackluster (the performance, not the summer). However, the team won the division and the AL pennant and produced the AL MVP and Cy Young runner up. Could the team have played better? Sure, every team could. But the Tigers had a great season on the backs of great performances. Miguel Cabrera won the MVP and Triple Crown in 2012 and posted an excellent (7.1) WAR. Despite the media narrative, he didn’t carry the team on his own. Austin Jackson, who missed time with an injury, tallied 5.5 WAR as well. Prince Fielder (4.9), Jhonny Peralta (2.6), Alex Avila (2.6 in 116 games), and Andy Dirks (1.6 in 88 games) all did their part too. The Tigers were among the best offenses in baseball by any measure even with two of baseball’s worst regulars, Delmon Young and Brennan Boesch getting lots of at bats. If the offense was good, the pitching was awesome. Led as always by all-universe ace Justin Verlander (6.8), the Tigers staff dominated. Max Scherzer (4.6) broke out and Doug Fister (3.6 in 26 starts) followed up his ridiculous final two months of 2011. Rick Porcello (2.9), despite fan opinion, was among the game’s best backend starters. Drew Smyly (1.7 in 18 starts) was also very good as a rookie fifth starter when he was healthy. For the last two months of the season, Anibal Sanchez (1.4 in 12 starts) wore the Old English D as well and contributed greatly. The bullpen was volatile. Dotel did his job most nights and Villarreal and Benoit went through very hot and very cold streaks. Valverde had a typical high save, low value season. It wasn’t a lockdown pen, but it was certainly good enough. The Tigers shot out of the gate in early April before stumbling heavily in May. By the All-Star break they were back near the front of the division, but couldn’t quite take control. It looked like the White Sox were going to hold them off until a late September surge pushed them over the edge. A five game series win against the A’s in the ALDS preceded a quick four game sweep of the Yankees in the ALCS. The World Series didn’t go well, but the Tigers outlasted 28 other teams in 2012. Some big names had big years while some supporting players had down years off their 2011 highs. In general, the Tigers underperformed their regular season expectations as a whole, but they stood atop the AL when it was over. The cavalry is coming in 2013, too. A full season of Anibal Sanchez will improve the club and subbing in Torii Hunter for Brennan Boesch is certainly a few win swing as well. Victor Martinez should be back at full strength to replace the Delmon Young shaped whole in the Tigers batting order. Infante spend a full year at second in lieu of a mix and match. It’s also not unreasonable to expect a bit of a bounce back from Avila and Peralta, probably not to their 2011 highs, but somewhere about 2013. Put that all together, and the Tigers could easily be 10-15 wins better. That would be a huge improvement and certain return to the postseason. But that of course, assumes no one will get hurt and no one will regress from 2012. It’s certainly reasonable to assume a 5-7 win bump for the team in 2013. So after two straight postseason berths and an AL pennant, the Tigers will enter 2013 with a chance to win the big prize. Michael Bourn is still unemployed. He was one of the best players available on the free agent market this year and was one of baseball’s most valuable players in 2012, but he does not have a team lined up for 2013. Before going any further we can assume that the reason for this is that Bourn wants more money than any team is willing to offer right now and believes that some team will meet his price before the season begins. At some point, a team will either match his price or he will decide to lower his price, which a team will then decide to meet. That’s a pretty straightforward understanding of how negotiations work. One side or both sides are currently unrealistic about the expectations of the other side. This will change eventually and Bourn will sign, the questions is, with who? What teams are most likely to pay the most for Bourn? Bourn is no slouch. He is entering his age 30 season and has posted 4.0 WAR or better in four straight seasons with a 6.4 coming in 2012. He’s an elite defender (career UZR/150 of 11.5 and a UZR of 22.4 in 2012) and baserunner (5 straight years of 40 or more SB) and gets on base at at .340 clip or better. In terms of straight value, you’re looking at a player who was work between $20 and $30 million last season and figures to be worth at least $15 million or more over each year of a 3 or 4 year deal if he stays healthy. And there is no reason to think he won’t stay healthy. Throw all of that in a blender with current team rosters and what do you get? A list of teams that might sign Bourn. The Royals probably don’t have the money to swing Bourn, but man do they need him. With two outfield spots filled by Cain and Francoeur, there is a lot of room for improvement. Bourn over Francoeur in 2012 would be worth something like seven wins in the standings. Even if you expect Frenchie to regress upward in 2013, there’s a lot of room to improve on a team that seems like they are committing to going for it over the next two seasons. This only makes sense if the Reds are willing to make Ludwick the highest paid fourth outfielder in baseball. With Choo and Bruce locked into the outfield, this is a long shot but the Reds would benefit greatly from upgrading on defense and at the top of the lineup. The Braves could resign Bourn even after adding Upton. If BJ will move to left to accommodate Bourn, the Braves could put Prado at third and have one of the better lineups in the NL. It might be hard to make that work financially given what some other teams might be willing to offer, but it’s worth exploring for both sides. The Jays are going for it in 2013. That much is clear. They’ve taken on a good amount of payroll through trades over the last couple months, but their outfield is a bit thin. Colby Rasmus is slated to be the everyday centerfielder and he isn’t exactly a picture of consistency. Additionally, Jose Bautista is coming off a wrist injury and Melky Cabrera is plagued by questions of his true ability following a steroid suspension. If the Jays can afford Bourn, he would be a good fit. They probably don’t want to make a four year offer, but if he decides to take a pillow contract, a one year, $18-20 million deal from Toronto might make sense. The Rangers can and should probably get by with a Martin and Gentry platoon in centerfield, but Bourn would be a nice addition to offset the loss of Josh Hamilton. However, the lineup is already crowded with Andrus, Profar, Olt, and Kinsler, so the Rangers are probably best left to keep their outfield unblocked. The Mets are good fit for Bourn. They need outfield help, presumably have some money to work with and are not that far off from contention. Their rotation has the potential to be great in the coming few seasons and they have a number of players on the roster who could work as compliments to a contending club. They need a couple more core pieces, and a great defensive centerfielder and speed demon would be perfect for them. The White Sox make a ton of sense for Bourn. De Aza, Viciedo, Rios are capable outfielders on an average team, but they aren’t a group that you imagine would get you to a world series. If Bourn was on the team instead of Viciedo in 2012, they might have beaten out the Tigers for the AL Central. Additionally, Konerko is in the last year of his deal and Dunn has one more after that. A backloaded deal could easily work to make Bourn a piece of the Sox franchise for years to come. In this week’s installment of The Nine we’re ranking the best catchers for the 2013 season. The top of this list was easy, but the backend was a bit tricky. Several very good players were left off the list. Apologies to: Carlos Santana, Alex Avila, AJ Ellis, Jonathan Lucroy, and AJ Pierzynski. Hanigan may seem like an odd choice if you don’t follow the game closely. He doesn’t hit for power, even in one of the great hitters’ parks in the sport, but his .365 OBP was ninth best in 2012 and he’s consistently proven his ability to post that type of number while some of the other contenders have shown more fluctuation. However, Hanigan is on this list for his glove. No catcher posted a higher UZR (11.2) than Hanigan in 2012 and his ability to lead pitchers and receive certainly makes him a top five defensive catcher in baseball. McCann had a down year in 2012, but I’m banking on him having another solid season before his decline gets into full swing. He’s been a top flight offensive catcher and his defense is average or better. His biggest asset is his power, which should be back for 2013. Ruiz has developed into one of the better offensive catchers in baseball over the last couple seasons and posted a career best 5.5 WAR in 2012. Pitchers have generally raved about his defense and his leadership skills behind the dish. The only reason he’s near the bottom of this list is because he’ll miss the first 25 games with a suspension. Wieters is a very good defensive catcher who seems to just be arriving at the offensive potential that most scouts saw in him. He’s been over 4.0 WAR in each of the last two seasons and will start his age 27 season in 2013. The power is finally showing up and with a little more in the average column, he could become one of the game’s best. Perez is extremely young and incredibly talented. He won’t be 23 until May and has already demonstrated superb defensive skills and a great swing in just parts of two seasons. He made the big leagues late in 2011 and tore up September. An injury kept him out for the first half of 2012, but he picked up right where he left off after the break and hit like crazy. The only hole in his game is his low walk rate, but he does pair it with a very low strikeout rate. If he can learn to walk, he’ll be at the top of this list in no time. Montero has quietly become one of the better catchers in the game over the last couple seasons. He’s a solid defender who hits for average and power and is improving his plate discipline. He reached base fourth most among catchers last year and while he’s probably at his ceiling, he looks capable of maintaining this level for a few more seasons. Mauer will turn 30 this season and is among the game’s best pure hitters. He’s probably never going to display the power he did in that 28 homerun season again, but his great batting average and on base percentage make him one of the best catchers there is. His defense is pretty average at this point, but the bat is very good. The key with Mauer is his health and ability to stay behind the plate, but this is a list for 2013, so I’ll still be on him over some of the younger guys. Molina nearly missed the top spot for 2013. His defense is elite, top notch stuff. Quantifying catcher defense is tricky, but by all measures he’s near the top and by most subjective measures he is the best. He’ll be 31 this year and has always had a good average and on base, but the power is new over the last year and a half. I’m not as confident in his power to remain as I need to be to put him at the very top of this list, but darn it, he’s very close. Not much of a surprise here. The reigning NL MVP enters 2013 as the game’s best backstop. He plays a very good defense, even if he’s probably not in the same league as Molina and Hanigan. He’ll be 26 this year, which is about the time hitters tend to peak and he’s coming off one of the best offensive season in all of baseball. He hits for average and power and mixes it with plate discipline nicely. Posey is not only one of the game’s best catchers, he’s among the game’s best players period. CHECK OUT THE MIDSEASON UPDATE HERE. What does you list look like? Sound off in the comments section.